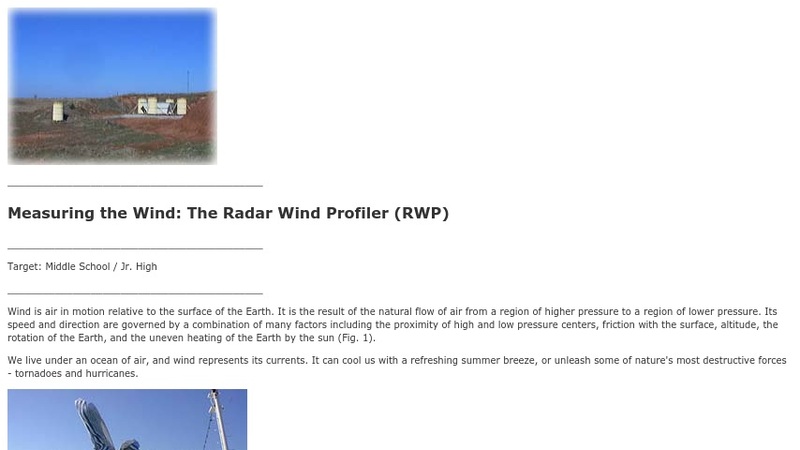 This middle/junior high school computer activity has students use data from a radar wind profiler in Oklahoma to determine wind speed and direction at different heights in the atmosphere. In combination with the millimeter wave cloud radar instrument data, students interpret how a front affects wind speed and direction. It is part of the Atmospheric Visualization Collection (AVC), which focuses on data from the Atmospheric Radiation Measurement (ARM) program's Southern Great Plains Cloud and Radiation Testbed site.